Chu Chu Rocket - A Mainstream Viewpoint! starvation, of countless thousands of impoverished software publishers. society and all that we hold dear. since - as we've already established - you didn't buy a Dreamcast. replication of it. 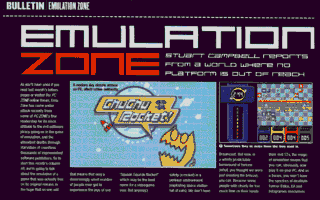 On the Atari ST.
puzzle modes, challenge modes, and everything else featured in the original. consciences while you do it. way, Neo Geo fans) next issue. Thank you.